The official death toll stands at 84 following flooding and high winds, which have destroyed homes and ripped roofs from concrete buildings. The cyclone has killed at least 180 people across southern Africa. Earlier, the International Federation of Red Cross and Red Crescent Society (IFRC) described it as “massive and horrifying”. People have had to be rescued from trees, head of the IFRC assessment team, Jamie LeSeur, told the BBC. In neighbouring Zimbabwe, 98 people have died and 217 people are missing in the east and south, the government says. 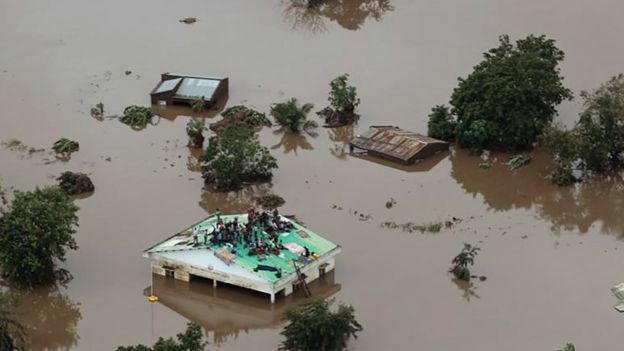 At least 84 people have died in Mozambique, mostly around Beira, the country’s fourth largest city with a population of about 500,000, the authorities there say. “Beira has been severely battered. But we are hearing that the situation outside the city could be even worse,” a statement from the IFRC quotes him as saying.